SINGAPORE, Asia — Together with headline partner Reebok, Les Mills Live is returning to Singapore on 22nd and 23rd March, in a bid to strengthen its reach and engage with customers in new ways. 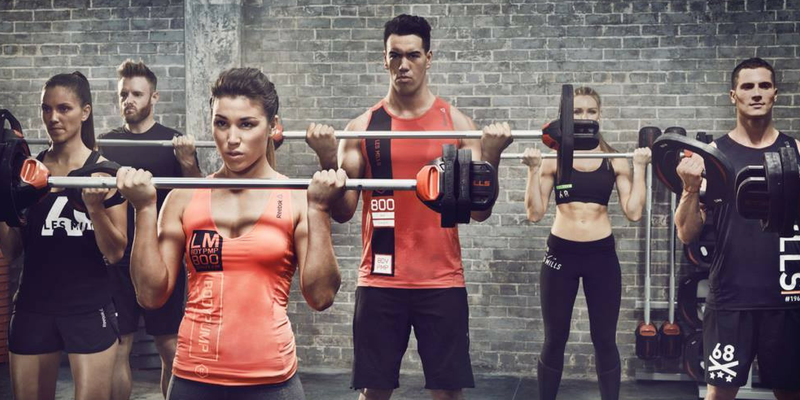 Expected to attract over 2,000 attendees, the event, taking place at the Marina Bay Sands hotel, will feature an impressive lineup of Les Mills’ leading presenters, including Dan Cohen and Rachael Newsham, who will lead popular workouts such as BODYPUMP, BODYJAM and BODYCOMBAT. In addition, Les Mills’ immersive cycling class ‘THE TRIP’ will also be showcased. The pioneering workout will take riders on a journey through digitally-created worlds, projected from a cinema-scale screen and backed by a state-of-the-art sound system. Building on the momentum raised by last year’s edition of Les Mills Live Singapore, the event comes at a time when the brand is doubling down on growing its global presence. Speaking about the event, Hylton Drake, Chief Operating Officer of Les Mills Asia Pacific explained: “Les Mills International is living up to its tagline “for a fitter planet” in transforming people’s fitness worldwide. It has around 90,000 certified instructors teaching its group fitness classes in 14,000 licensed gyms and clubs around the world. Class attendance is currently equivalent to more than 3 million workouts a week, and the company wants to boost this to 200 million workouts a week worldwide by 2020. With Singapore, alongside other markets in Asia, such as Malaysia, Vietnam, Thailand, the Philippines and Indonesia, all key growth markets for Les Mills Asia Pacific. And with so many operators scaling their brands in the city-state, there’s huge potential for the company to build relationships and grow its foothold in the region, so it’s not surprising the event is headed back to the island. Having recently welcomed a number of other fitness events, including FitnessFest, YogaFest World Edition, Glow Festival and more, Singapore is starting to cement itself as a springboard into the region, for international fitness brands. And with the Asia-Pacific fitness market hitting a record $16.8bn, all signs point towards continued exponential growth over the coming years. According to Les Mills Asia Pacific, it is seeing positive growth across Southeast Asia especially in markets like Thailand, Indonesia and Vietnam, so it is looking to grow the number of licensees, as well as instructors across the region. Many fitness chains are also seeing the opportunity in these markets, and one of the brand’s strategies is to grow with them as business partners as the industry continues to expand. Discover more about Les Mills Live here.